Lawyers filed a $1 billion lawsuit against Facebook Inc., alleging it allowed the Palestinian militant Hamas group to use the platform to plot attacks that killed four Americans and wounded one in Israel, the West Bank and Jerusalem. “Facebook has knowingly provided material support and resources to Hamas in the form of Facebook’s online social network platform and communication services,” making it liable for the violence against the five Americans, according to the lawsuit sent to Bloomberg by the office of the Israeli lawyer on the case, Nitsana Darshan-Leitner. “Simply put, Hamas uses Facebook as a tool for engaging in terrorism,” it said. Hamas is considered a terrorist organization by the U.S., European Union and Israel. The suit said the group used Facebook to share operational and tactical information with members and followers, posting notices of upcoming demonstrations, road closures, Israeli military actions and instructions to operatives to carry out the attacks. In March Facebook took down a page promoting a new Palestinian uprising against Israel because it made “direct calls for violence,” in violation of company polices. Gabriel Weimann, an expert on terrorism on the internet at Haifa University, said technology would be more effective than litigation in discouraging the use of social media for violent purposes. The focus should be on developing faster ways to detect problematic messages so they can be blocked immediately before they go viral, he said. The suit was submitted to the U.S. District Court for the Southern District of New York on July 10. Plaintiffs include the families of Yaakov Naftali Fraenkel, a 16-year-old abducted and murdered in June 2014 after hitching a ride in the West Bank, and 3-year-old Chaya Braun, whose stroller was struck intentionally by a Palestinian driver in October 2014 at a train station in Jerusalem. In February 2015, a jury at the same court concluded that the Palestinian Authority and Palestine Liberation Organization aided in six attacks on Americans in Israel more than a decade ago, and ordered them to pay $218.5 million to the victims and their families. The damages were tripled under a U.S. anti-terrorism law. The Palestinian bodies claimed they weren’t responsible for the unapproved acts of low-level employees who participated in the attacks. 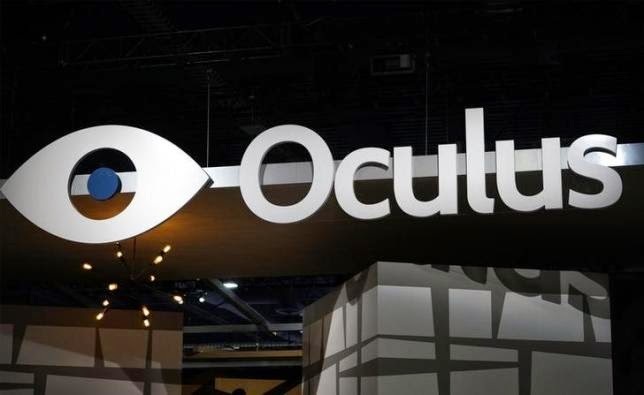 The founder of virtual reality glasses maker Oculus VR Inc, acquired by Facebook Inc for $2 billion, has been accused of taking confidential information he learned while working with another company and passing it off as his own, according to a lawsuit filed this week. Facebook's $2 billion acquisition of Oculus last year was its first-ever hardware deal, as the company sought a way into the fast-growing wearable devices arena.